“Winter is coming” (get it)? That means dull and dry skin. 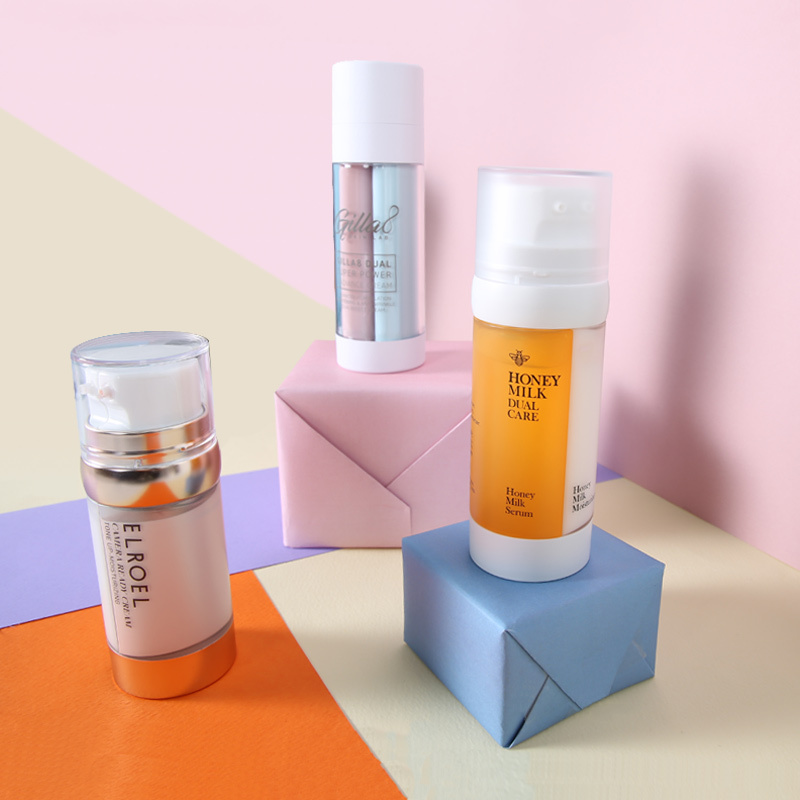 Which is why today we’re bringing you the latest in K-Beauty trends – the two in one must-haves! These goodies are pouring into the market – I mean, even we’ve just curated 3 of them onto our site – which begs the question; “which one should we buy”? ☆ Calamine powder: Anti-inflammatory to soothe the skin. Provides the cream with a naturally occurring pink tone. ☆ Ceramide: Forms protective layer to prevent loss of hydration and damage from pollution and other environmental stressors. ☆ Hyaluronic acid: Maintains collagen synthesis and water retention. ☆ Niacinamide: Works to improve the appearance of pores, uneven skin tone and fine lines. ☆ Arbutin: Inhibits Tyrosinase, the enzyme involved in the production of melanin. Helps improve the appearance of dark spots. 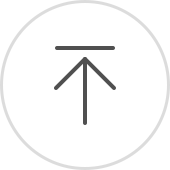 ☆ Alpha-bisabolol: Inhibits melanin synthesis, soothes and moisturizes skin. Promotes the absorption of ingredients. ☆ Adenosine: Offers potent anti-wrinkle properties. ☆ Asiatic Pennywort Extract: Antioxidant to prevent premature aging, soothes and hydrates damaged skin. ☆ All ingredients EWG green grade, safe for all skin types. Can be used by pregnant women. ☆ Honey Extract: Antibacterial, prevents acne. Rich in antioxidants to stop premature aging. Works as a natural humectant and emollient to hydrate the skin. 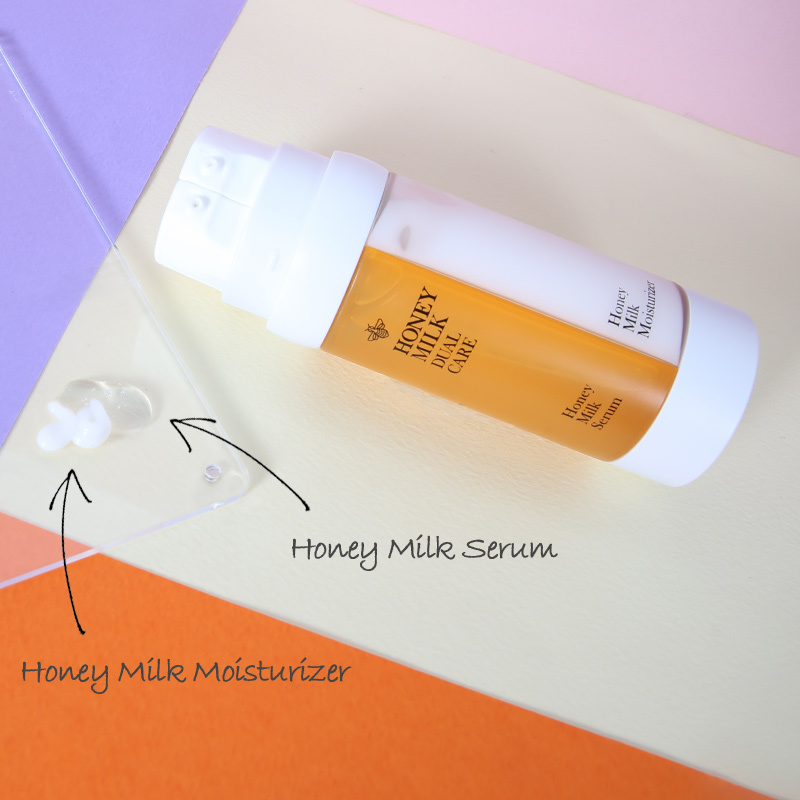 Enzymes in honey work as an effective exfoliator to leave skin clear and radiant. ☆ Goat Milk Extract: Lactic acid (AHA) exfoliates and reduces the appearance of hyperpigmentation. ☆ Hyaluronic acid: Retains moisture to keep skin hydrated and looking plump. ☆ Rosemary: Protects the skin. Acts as a natural antiseptic to soothe and heal skin. Stella S: The tone up effect is immediate and subtle so it’s great for an everyday pick me up. But it’s the glow that really makes this cream stand out. It’s almost like applying a highlighter to your skin. The glow is just down right WOW! Stella C: The tone up cream was a little on the matte side for me but mix it with a little bit of the moisturizer and all is good. I also recommend mixing equal parts of the tone up cream and moisturizer with your foundation to add a little pearl, hydration and long lasting goodness to your makeup routine. There was no pilling so don’t worry! Just try it. Stella S: A lot of ingredients in tone up creams tend to be drying which is why I thought this product would be quite matte but it wasn’t! I was really impressed at how light and hydrating this was. Plus, after a couple weeks, I could see a definite change in my skin tone. That said, I wish each section had a separate pump so I could control the ratio of tone up cream and moisturizer for myself. 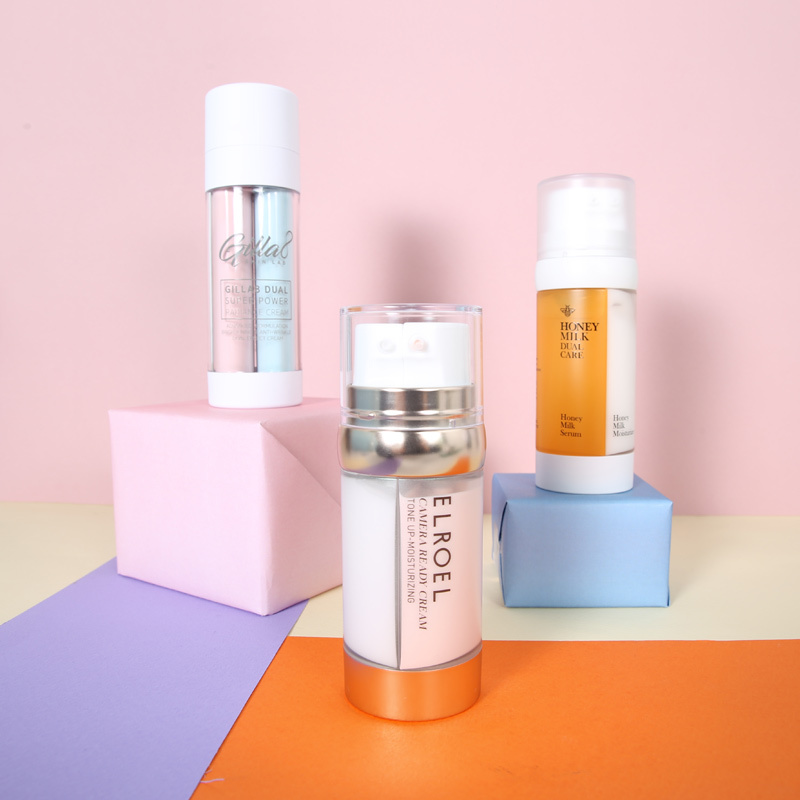 Stella C: My major skincare concern is hyper-pigmentation so I was glad to see niacinamide, arbutin and alpha-bisabolol added into the mix in (quite) high concentrations – 5%. So, whilst this product doesn’t offer an immediate brightening effect, it does gradually transform your skin into something much brighter! 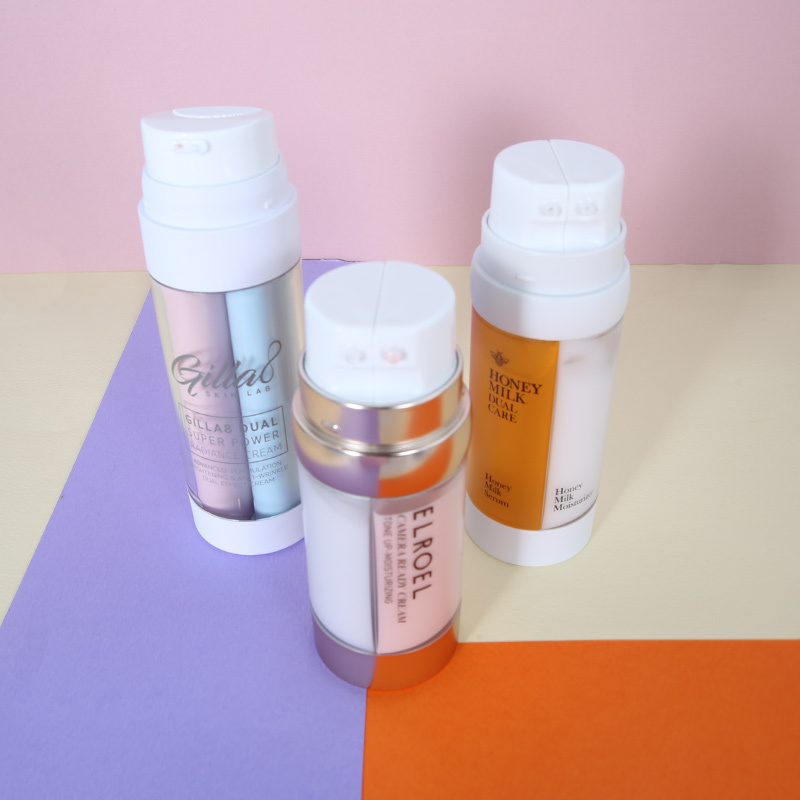 Stella S: I love this product, especially when travelling! There’s no need for me to pack both a serum and a moisturizer and it’s the perfect size to carry around. However, the honey scent was a little too strong for me but if that’s the way you roll then this product is definitely worth the try! Stella C: I agree with Lala! The product was incredibly light with just the perfect amount of hydration. It also contains glycerin which makes it a great base for my makeup. The results are clear! Here’s how we think the following products should be used. 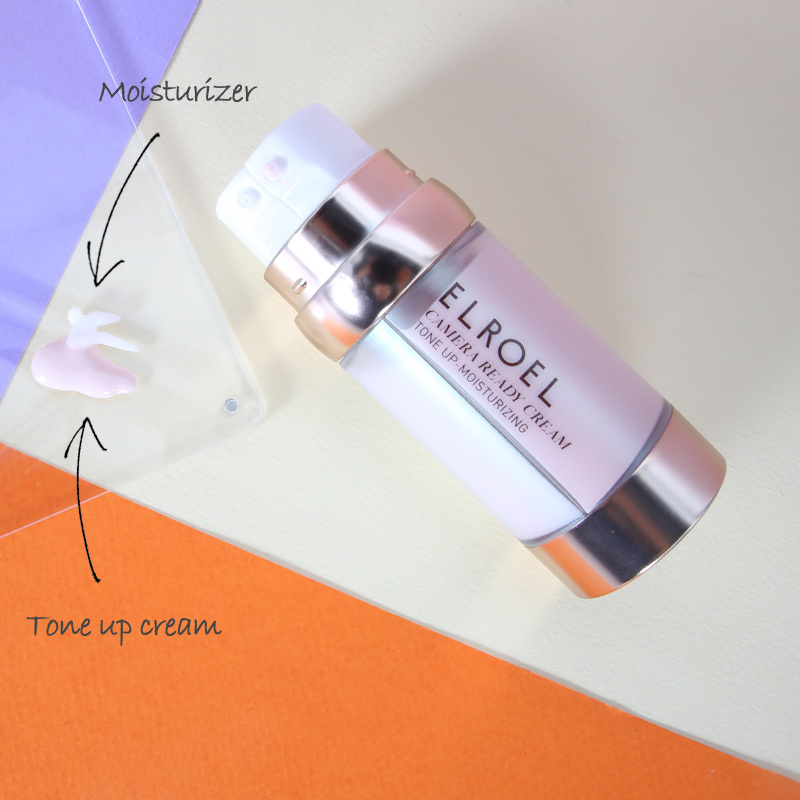 Elroel Camera Ready Cream: This is the perfect tone up base for anyone who wants to spice up their every day skincare / makeup routine. 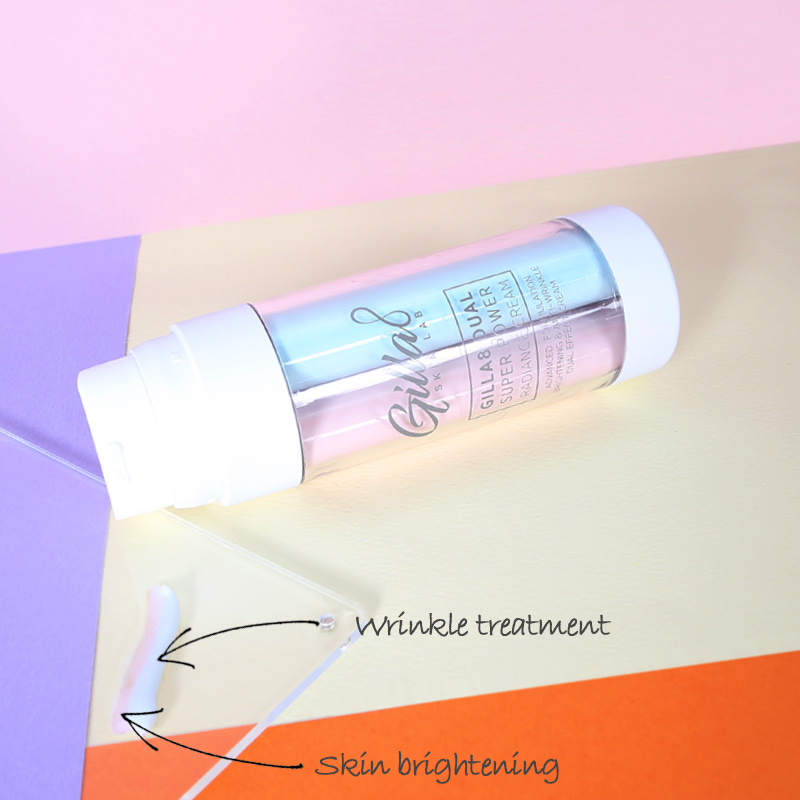 Gilla8 Super Power Radiance Cream: This won’t brighten up your complexion immediately but gradually, without you noticing, it’ll creep up on you hit you with radiant skin! 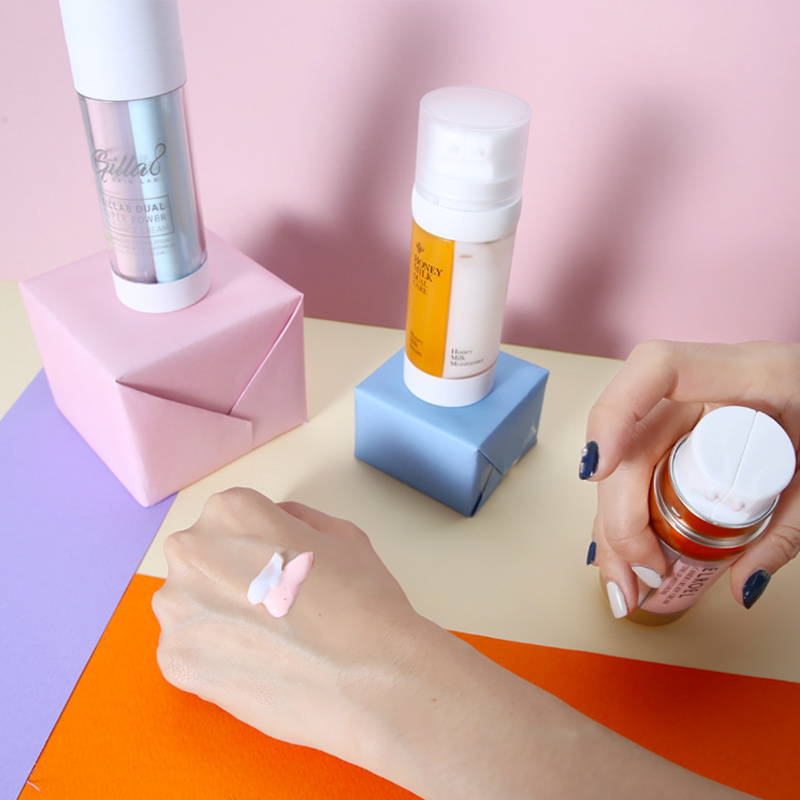 Double Dare: If you need hard-core moisturizing this is the product you’ll want. It literally drips honey onto your skin.